Bring convenience and consistency to OmniFocus for iOS through the magic of Siri Shortcuts. 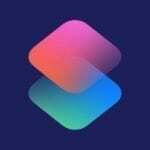 Siri Shortcuts is a powerful automation technology that Apple introduced in iOS 12. By tapping into this functionality you can bring speed, convenience, and consistency to your iOS workflows, including those that integrate with OmniFocus and complementary third-party apps. Here are some of our favourite Siri Shortcuts. Tap the download link on your iOS device to add these to your Siri Shortcuts Library. You can use them as is or customize them to suit your needs. If you’re a Learn OmniFocus Member, watch Automating OmniFocus 3 Using Siri Shortcuts: Basics if you’re new to using OmniFocus and Siri Shortcuts or want to review the basics. And further your knowledge by watching Automating OmniFocus 3 Using Siri Shortcuts – Beyond the Basics and Automating OmniFocus 3 Using Siri Shortcuts: Advanced. David Sparks, who’s been a guest on Learn OmniFocus, has a great Siri Shortcuts Field Guide that offers an in-depth look at both basic and advanced topics. Use this Shortcut to quickly add an action to call someone (optionally with some added notes) to OmniFocus. This is an example Shortcut that you can easily modify to add virtually any set action to your system. When you run this Shortcut you’ll be prompted to choose someone from your Contact list. An action will be added to OmniFocus to remind you to call that person. Conveniently, their phone number(s) are automatically added to the notes field. And you can optionally add a due date. Continue playing Overcast, and open an Errands perspective in OmniFocus. Featured in the Automating OmniFocus 3 with Launch Center Pro 3 video (Members Video). When you run this Shortcut you’ll be prompted to specify a folder, context (tag), or perspective. The script copies an OmniFocus URL (link) that can be used to access the specified item on either Mac or iOS. Get the next calendar event from your calendar and use that to create a note in Drafts, then open a Person perspective in OmniFocus to set you up for a meeting. Featured in the Automating OmniFocus 3 with Launch Center Pro 3 video (Members Video). Quickly save multiple tasks to your OmniFocus Inbox with minimal fuss. This Shortcut prompts you to specify the tasks then uses the TaskPaper action to add them to your inbox for further processing. When you run this Shortcut you’ll be prompted for a task/note name. A new action will be added to your OmniFocus inbox that’s linked to a new Bear note with the same name. The Bear note will also include a link back to the OmniFocus action, making it easy to jump between Bear and OmniFocus. Use this Shortcut to make time for an important action. You’ll be prompted for the name, duration, and the date/time you plan to step into action. An action will be added to your OmniFocus inbox, complete with an estimated duration. And an appointment will be added to your calendar with a link back to this action. Do you have actions or projects that need to be completed on a specific day each month? This Shortcut will prompt you for the name of the task and the day of the month, then add a year’s worth of actions or projects to your OmniFocus database. These Shortcuts allows you to use project templates that you created for use with Curt Clifton’s popular Populate Template Placeholders AppleScript on iOS. You’ll need to install two Siri Shortcuts: OmniFocus Project Templates [download] and Replace Variables [download]. Check out this guest post by Rose Orchard for more information. This Shortcut allows you to create multiple actions or projects in one fell swoop. You’ll be prompted for the name of the action, the number of repetitions, and the destination in OmniFocus. Numbers will automatically be added to the title (e.g. Read Chapter 1, Read Chapter 2, Read Chapter 3,…). Use this Shortcut to create actions between two dates. You’ll be asked to specify the start and end dates, the days of the week that you need to perform this action, the time that these actions are due, and the destination in OmniFocus. The Shortcut will take care of creating the actions or projects based on these criteria. Create the start of a daily log in Drafts, play your work playlist in Overcast, and open OmniFocus to the perspective of your choice. Featured in the Automating OmniFocus 3 with Launch Center Pro 3 video (Members Video). When you run this Shortcut you’ll be presented with a list of items that you have on your calendar for tomorrow. Check those that you need to prepare for and “Prepare for” actions for these appointments will magically appear in your OmniFocus Inbox. Use this Shortcut to help you think of important tasks that you need to add to OmniFocus. Are you going on a trip? This Shortcut will add the trip to your calendar and create an OmniFocus project to help you prepare. This is intended as a basis to use create your own TaskPaper templates with variables in Shortcuts.